In a previous post I explained how to guarantee an online income for yourself. That post was geared towards people who are not making any money online. Today I want to talk about what to do once you do have an income going. Even a very little one. Once you ARE making money, you must keep your focus. 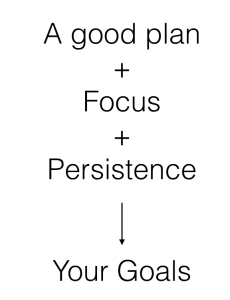 In fact, a good plan + focus + persistence is all you need to reach your goals. I see too many people making a small number of sales and then leaving for the next “shiny object”. And that’s a shame. Because these people have finally found something that works for them, yet they don’t take full advantage of it. Remember: the trick to being successful in a business is to be laser-focused on doing whatever it is that will bring you to your goals. That’s why I want to tell you about a “magic” box I’ve developed that helps me focus on what I should be doing. And I’m pretty sure it will help you too. But before I tell you about my box, I need to make something very clear. This box is only for people who are already making money online. People who have found something that works for them. People who are past the stage of wondering “is this online income thing a scam or can it be real for me”? If you are not there yet, read my previous post. This box represents your business. The inside of the box represents the strategies, tactics, and activities you should be pursuing in order to achieve your goals. The borders represent the criteria for deciding what to focus on. If you want to focus your online activities and reach your goals, you must make sure everything you do fits into this box. What this means is that you will only take upon yourself activities that have the potential to make you more than minimal amount that YOU define. An activity that does not have that potential is not in your box and should not be pursued. How do you define that minimal amount? I recommend you make it whatever you are earning now. Never define your border to be higher than what you can accomplish now, because you will set yourself up for disappointment and open yourself up to scams. I am a big believer in a step-by-step approach. If you are a beginner – make it small. Perhaps $100. If you are advanced – by all means go higher. Whatever it is, focus on activities that meet your financial requirements. At first this part of the box will be tricky. I mean, how can you know in advance how much money you will make? But as you get more experienced and successful, you will be able to predict this better and better. 2. Time: how much time do you have? You should only take upon yourself projects that you can do within your time limitations. If you are a busy stay-at-home mom with a baby at home (like I was a few short years ago), that might be 1/2 hour a day. If you have a job and can only spend a few hours in the evening, then your border will be a few hours a day. If you are unemployed and don’t have other obligations or restrictions, it might be 10 hours a day. It all depends on how much you can realistically spend on your business. Anything that takes too long is not in your box. It’s easiest to stick to one market. That will allow you to become extremely familiar with that market and be much more effective in your marketing messages. Some people can do ok with 2 or 3 markets. But start with one. So if your main market is survivalists, all your activities should focus on that market. Do not start selling t-shirts to pet lovers. It will take you out of focus. What you CAN change is your marketing methods. So let’s say you’ve mastered Google traffic in the survivalist niche. You are getting daily visitors from Google and all is well. Now you might want to master YouTube traffic. As long as it is within your market (or niche), go ahead. 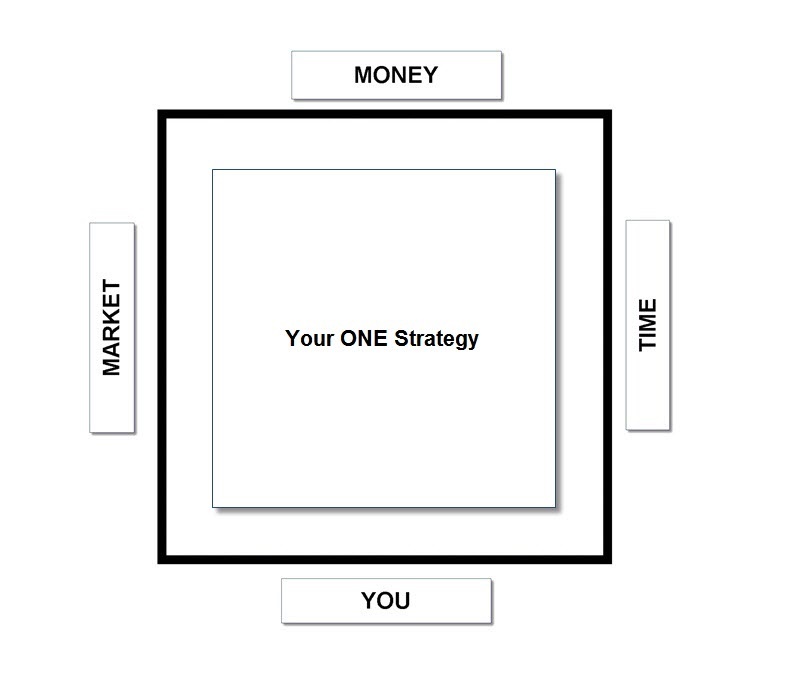 What does your market want? What do they respond to? How can you reach them better? What do they expect of you? The answers to these questions should determine whether you take upon yourself an activity, or whether you let it go. 4. You: this is a combination of your skills, talent, and enjoyment. It is important to build your business around your own unique talent and skills. And it’s important that you enjoy what you do. Building on your skills and talents gives you an unfair advantage that other people can’t compete with. Can you create awesome videos? Make sure that fits into your business. Are you a good writer? Make sure your business includes writing. Are you good at doing research? Whatever it is – you want to include it in your box. Of course you will be acquiring new skills as you go. And as you get new skills, that border of the box will change. It’s also important that you enjoy what you are doing. Pick a method that you enjoy. 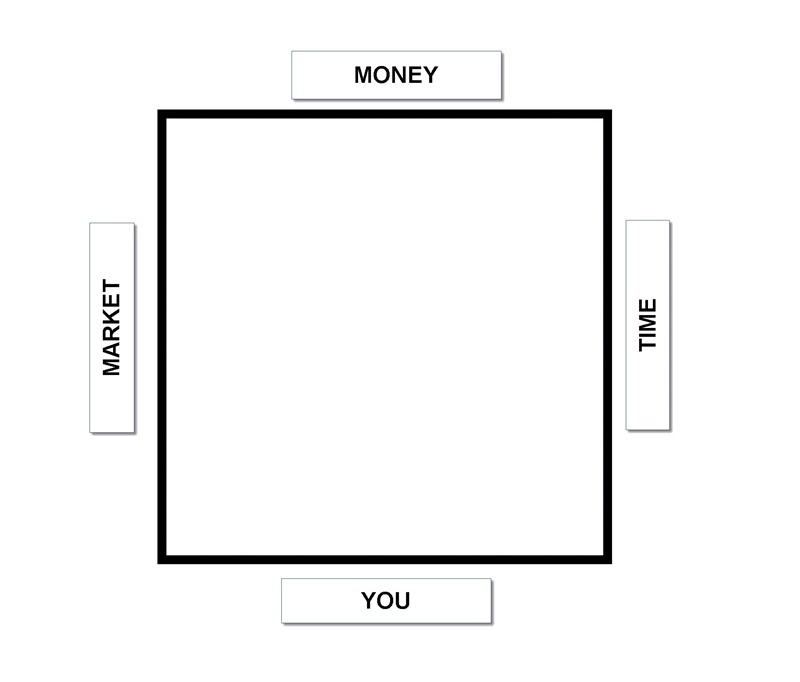 Pick a market that you appreciate. And pick activities that you like doing. Because that is going to make you stick to it longer, and persistence is another key to a successful business. Once you have the borders defined, use it to put ONE THING in your box. You can pick affiliate marketing in the survivalist niche. Or Kindle Publishing in the weight-loss niche. You can create a product in Internet Marketing. The point is: pick one thing that fits into your box. All your activities should fit in here. Everything you do in your business. Keep all your activities and tactics confined to that one strategy. And keep at it until you master it. When you’ve got it mastered and you are ready to move on to the next level, you can expand the strategy or even change it completely. As long as it meets the criteria and fits in your box. I started by offering services with my skills. Then I used those skills to create small affiliate sites, mostly in one niche. Then when I mastered that, I built a list. Then when I mastered that, I created a product. Then I published my product in another niche (internet marketing). Then I learned to do a product launch. And I am still learning and expanding my box. Because I want to grow my income higher and higher. But no matter what – I always make sure the things I focus on fit in my box. And I always build on what I have done in the past. Insert one thing at a time. Always staying within the confines of your box. That is how you make a lot of money and reach your financial goals. Speaking as someone who has watched your progress over the last few years, I can confirm to your readers that this strategy has figured massively in your online success. It’s no great secret people, you simply have to finish what you start and then build upon each little victory. Many people are seeing success with Sara’s training right now, they’re actually DOING it, putting it into practice and building on it just like Sara did and still is doing today. I really like and enjoyed reading your post. I am going to save it in a document to refer back to. I have struggled in the past buying this and that and never sticking to anything long enough to make it work. I am learning Affiliate Marketing in Facebook and will stick to that before moving on to other marketing methods. Thank you for your post, you really do want to help people succeed! Thank you for this post Sara. My biggest roadblock in the past has always been trying to juggle more than one project at a time. The biggest breakthrough for me is putting two other projects to the side for now and so that I can stay focused. Not only is it working, but I also find it much more enjoyable because I am not constantly stressing over what needs to be done next. Having one project to focus on means I have a specific step by step plan that is easy to follow. Think focus is my problem, and this could make all the difference.